It’s hard to pick the single most heartbreaking death on The Walking Dead, but the brutal killing of beloved former pizza guy Glenn Rhee at the beginning of season 7 is definitely up there. The character had been with the show from almost the start and fans were traumatized to see him meet his maker. Thankfully, though, there might just be a silver lining on the horizon for those still mourning him, as actor Steven Yeun has said that he’s up for a return at some point in the future. 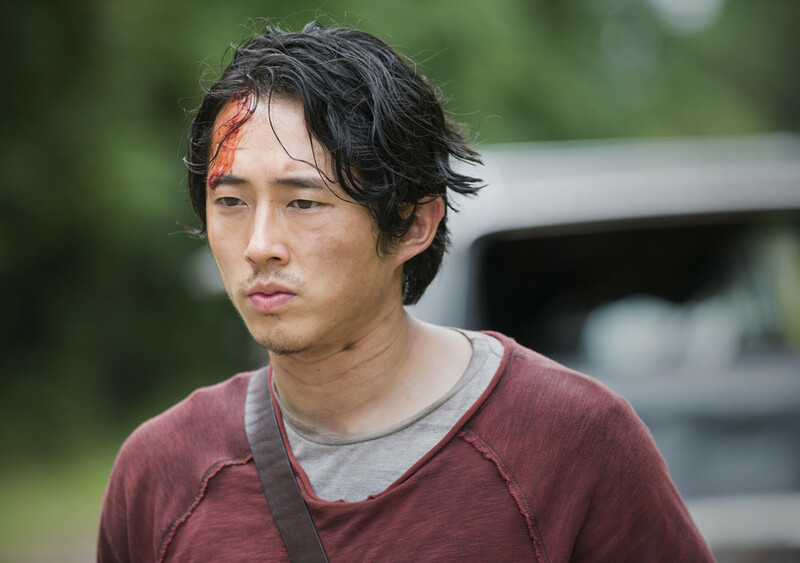 Of course, the most obvious way for Glenn to return would be in the form of a flashback. Recently, Michael Cudlitz returned as Abraham Ford – Negan’s other victim – in the season 7 finale during a protracted flashback sequence which helped wrap up Sasha’s story. Alternatively, Glenn could also come back in a hallucination scene, just like the Governor, Beth and other characters did when Tyreese was dying back in season 5. It’s not like Yeun desperately needs the job, though, as the actor has a full schedule lined up. He can be seen this month in Netflix’s action/adventure movie Okja, alongside the likes of Tilda Swinton and Jake Gyllenhaal, and has other projects such as Sorry to Bother You, The Star and Chew on the way as well. A while back, many fans even campaigned for him to get the role of Nightwing in the DCEU, though Warner Bros. has yet to announce any casting and there’s been no news of Yeun being eyed for the part. Still, you never know. Circling back to The Walking Dead though, the show returns to AMC this Fall for season 8 and we expect the first trailer to be released next month at Comic-Con. Stay tuned for more!